As our regular subscribers know, we focus predominantly on Currency Trading. Today, however, I would like to share with you exactly how premium Platinum traders approach Oil in this Crude Oil Trading Blog. Before getting into our live FX trading event I want to present exactly what is needed for a trader to successfully trade Crude Oil. The CME Group is the world’s leading derivatives marketplace, it is made up of four exchanges in total, the Commodity Exchange Inc. (COMEX), the Chicago Board of Trade (CBOT), the New York Mercantile Exchange (NYMEX), & the Chicago Mercantile Exchange (CME). The main difference is sulfur content, this is measured using API Gravity which compares the weight and density to that of water. Brent Crude has an API Gravity of around 38.06, whereas WTI Crude has an API Gravity of 39.6. Anything above an API Gravity of 10 is lighter than water and therefore floats on its surface. The difference between the two isn’t major, but it’s important to understand the differences between these two crude oils if you wish to trade them professionally. A couple of months ago the price of oil was witnessing a rally. However, prices have now reached a crossroad. After recording a three-year high figure of sixty-five dollars, the WTI futures prices dropped in the month of February to reach sixty dollars/barrel. Since then it has recovered nearly seventy percent of the total value that was lost during the month. This recent price movement has forced traders to wonder whether it’s temporary, or the prices have actually touched the ceiling at sixty-five dollars per barrel. WTI futures recorded an average price of 42 dollars/barrel twelve months ahead of the OPEC as well as production deductions started in the month of November 2016. 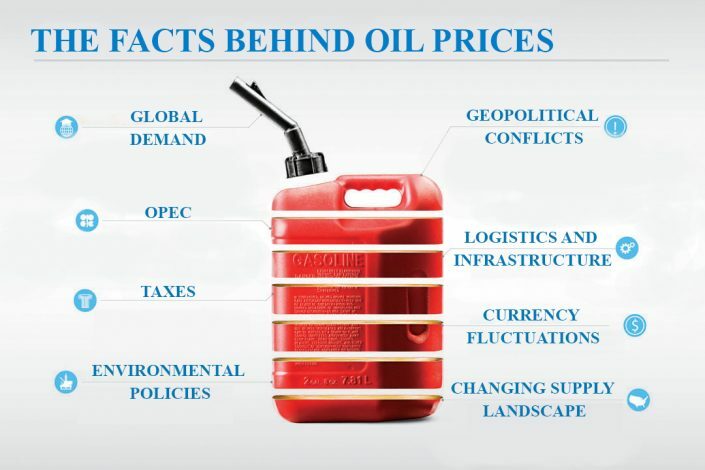 Later, in view of the false trader hopes that the oil industry would balance soon, the prices rose to over 50 dollars per barrel. However, in the month of March in 2017, traders were concerned that the deductions won’t work and thus the prices dropped again in June. It was around June that the inventories started dropping globally and the opportunities for economic development and growth also improved further. That’s precisely when the WTI futures rose to 66 dollars/barrel by the month of January 2018. WHAT SHOULD CRUDE OIL TRADERS KNOW? If you’re a trader who’s looking to trade Crude Oil, then you must make note of a couple of important points. Firstly, the prices of Crude Oil keep fluctuating every single moment since it’s traded publicly on different exchanges. It must be noted that the Crude Oil prices are determined on the basis of global supply and demand as well as in accordance with the fundamental analysis of the commodity and traders. When it comes to day trading the oil markets, traders must focus on earning profits on the basis of the price action that happens on a daily basis. Thus, traders should emphasise on speculating the short-term movements in the price. In order to day trade Crude Oil, traders must resort to a futures trade contract. This contract is basically an agreement for buying or selling Crude Oil, Gold or even Wheat in future. As a result, a trader closes all the contracts every day and incurs loss or profit on every single transaction on the basis of the price difference between the selling and buying prices of the contract. Depending upon their preferences, traders can trade a wide variety of contracts and crude oil such as the Crude Oil Future Contract that represents as many as 1,000 barrels and E-Mini Crude Oil Futures Contract that represents five hundred Oil barrels. Hence, the buying and selling of Futures Contracts are all about keeping track of the number of ticks the price moved away from their entry price. This further helps the trader in determining his/her loss or profit for every single one of their trading opportunities. According to the experts at the Platinum Trading Academy, the exchange-traded prices of Crude Oil may go past 65 dollars/barrel. They further clarified that if producers expect the prices to rise further, then they should be careful regarding market and trader sentiments and beliefs. Book your interest rate decision session absolutely free! I hope you found this Crude Oil Trading Blog informative and it assists you in trading the market with confidence. Don’t be in the 90%, let us help you be in the top 10% that Succeed! Have a great week, be smart, stay sharp.